This beautiful watercolor print represents one of Italy's most recognizable landmarks, the Leaning Tower of Pisa. Erected as a bell tower for the local cathedral, it was completed in 1322. A building rich with history, it's said that Galileo did his famous gravity experiments off the top of the tower. It has been leaning pretty much its entire existence, and is a well-known tourist attraction. 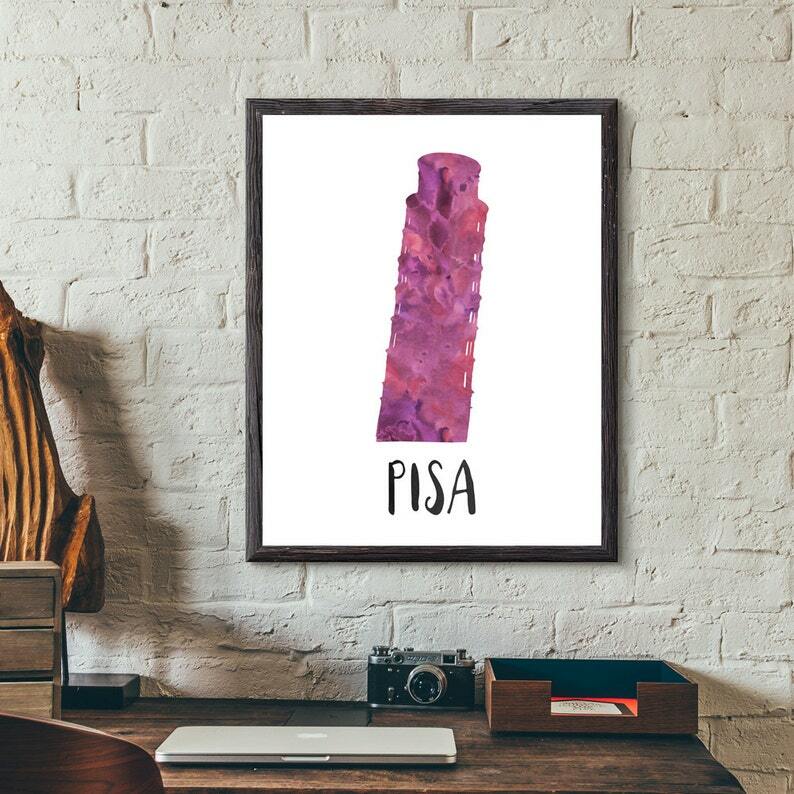 Beautiful, yet simple, this print is the perfect accent for home or the office. It makes a great gift, or better yet, get two and keep one for yourself. Check out my other listings. If you can't find what you're looking for, please let me know, and I will do my best to make it happen for you. Like this print, but want another color? I can usually accommodate your requests! Want a custom design, something you don't see in this store? Feel free to convo me to discuss what you're looking for and available options. I love to bring your vision to life!